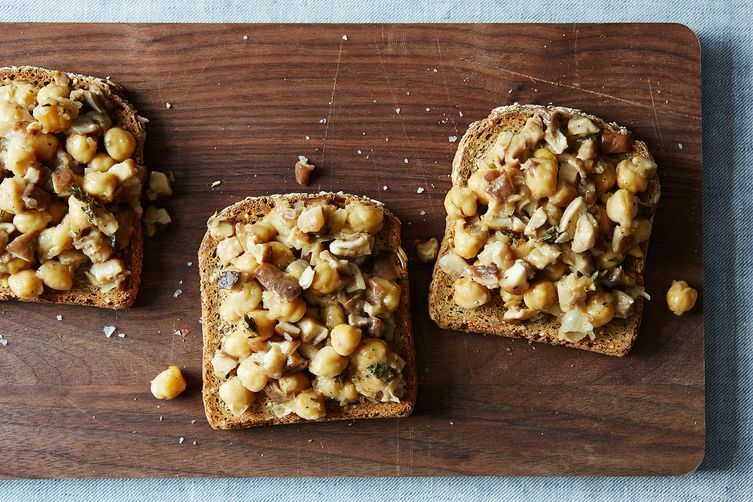 Cure your savory cravings with the newest snack on the block: Veggie Toast. You can mix and match sliced bread, roasted vegetables and your favorite herbs and spices for a convenient anytime treat. 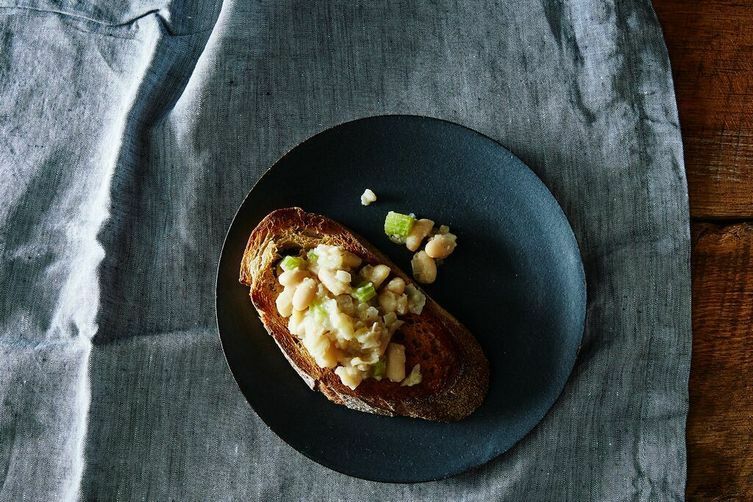 We hoard avocados to smash on top of it for breakfast, cut fat slices of sourdough to munch on it for dinner, pay upteen dollars for it at brunch. We even listen to podcasts named for it. Suffice to say, the collective food world is fairly obsessed with this crunchy vessel for all manners of schmear. Yes, I'm talking about toast. And nothing says it’s time for this satisfying, lunchtime work horse like the middle of the work day. You might think that toast is too tricky to pack ahead or too messy to eat over the computer, but bear with me. You don’t have to go out for “tartines” to have a colorful, finger-licking, midday toast adventure for days to come; just follow these steps to make an addictive, satisfying roasted vegetable toast. Step 1: Select and prep your vegetables. To make about 2 1/2 cups of spread, you’ll need one large baking tray’s-worth of roughly chopped vegetables. This can consist of one large head of cauliflower, several root vegetables (like carrots, parsnips or beets,), and 3 or 4 medium sweet potatoes—but feel free to add whatever looks good that week! 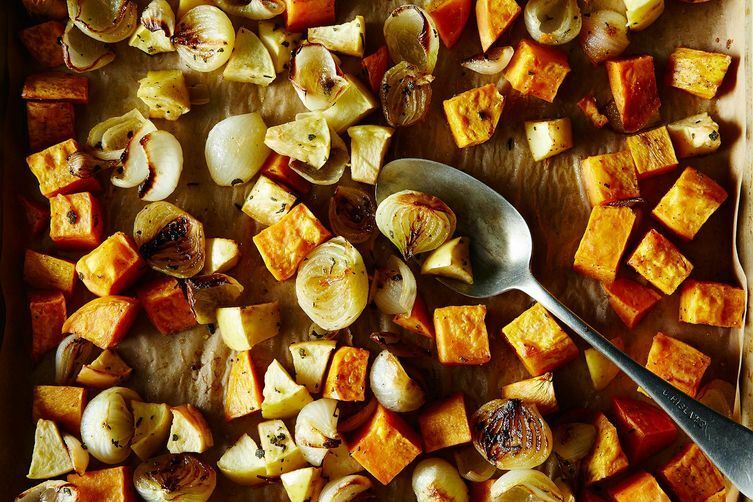 Wash the vegetables, chop into uniform pieces, and arrange on a parchment-lined baking sheet. Roughly chop a large onion and toss onto the pan as well. Step 2: Roast the vegetables. Preheat the oven to 425° F. Drizzle a few generous tablespoons of olive oil over the vegetables and season with lots of kosher salt and freshly ground pepper. Now comes the fun part: the spices. Should the spread be spicy? Try cayenne or harissa. Smokey? Cumin and chili powder will do nicely. I’ve had lots of luck with za’atar as well. Maybe get autumn-y and try several dashes of cinnamon and a pinch of cloves. Or close your eyes and play spice drawer roulette—there’s no wrong answer! Roast the vegetables until tender. This can take about 25 to 35 minutes, tossing every 7 to 10 minutes. Step 3: Put it all together. Let the vegetables cool, then place in a food processor with one clove of garlic, juice from half a lemon, a few additional glugs of olive oil, and a large spoonful of tahini. Process until smooth, adding more salt and pepper along the way if you so choose. Step 4: Prepare your bread. Cut a thick slice or two of bread and toast to desired crunch-level. Let cool slightly and wrap in foil. If your office has a toaster or toaster oven, feel free to skip this step! Step 5: Pack your vegetables. Scoop a generous amount of your vegetable spread into a small jar, tin, or other airtight container (I’m pretty fond of reusing to-go containers.) Gather your wrapped bread and head to work. Don’t you wish it was past noon already? Remember M.A.S.H., that horrible grade-school game where you listed your options and left your future spouse, car, and number or children up to a numerical fate? If you’re really at a loss, you can decide which toast you’ll be having this way. When I played T.O.A.S.T, I got carrots with cinnamon and ginger on 7-grain bread. Not too shabby! Step 6: Re-toast your toast. If you’ve already toasted your bread, reheat that bad boy in the toaster oven or microwave. From my experience, toast returns to its original crunchy state in the microwave best when wrapped loosely in a paper towel and heated on a low power level for 15 to 20 seconds. I like my vegetable spread at room temperature, but go ahead and reheat it in the microwave as well, if you want. Step 7: Eat up! Smear the spread on toast and devour, preferably with a drizzle of fancy olive oil and dusting of paprika! Keep an eye out for co-workers looking to ditch their granola bars and deli sandwiches in favor of your meal. Or bring extras and make a few friends! 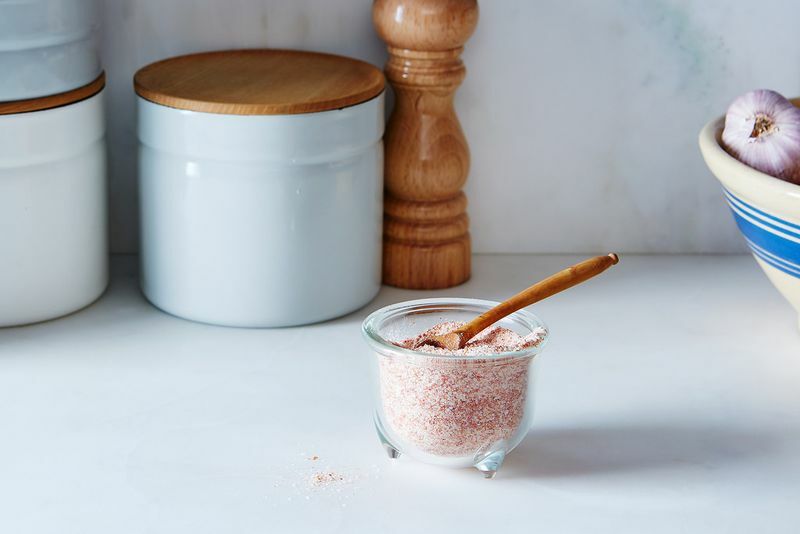 This article was written by Rebecca Firkser | Spices and Spatulas from Food52 and was legally licensed through the NewsCred publisher network.